Born and raised in Boulder, Colorado. I grew up with a love of the outdoors. 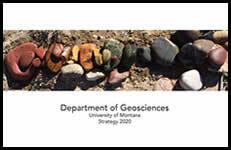 I attended Colorado State University, majoring in Environmental Geology. It was there that I grew an appreciation of water resource management. After working with the Northern Divide Grizzly Bear Project in Montana (which is a crazy story) I moved to San Francisco and obtained my M.S. in Hydrogeology from San Francisco State University. My thesis was then submitted to Agricultural Water Management and was published in August 2018. Before starting my Ph.D. at the University of Montana, I worked for a environmental consulting firm (AMEC) in Oakland, CA, and as a Lecturer at San Francisco State University. Skiing, fly fishing, backpacking, running with my pup, chess, cribbage, and really any other card/board games.